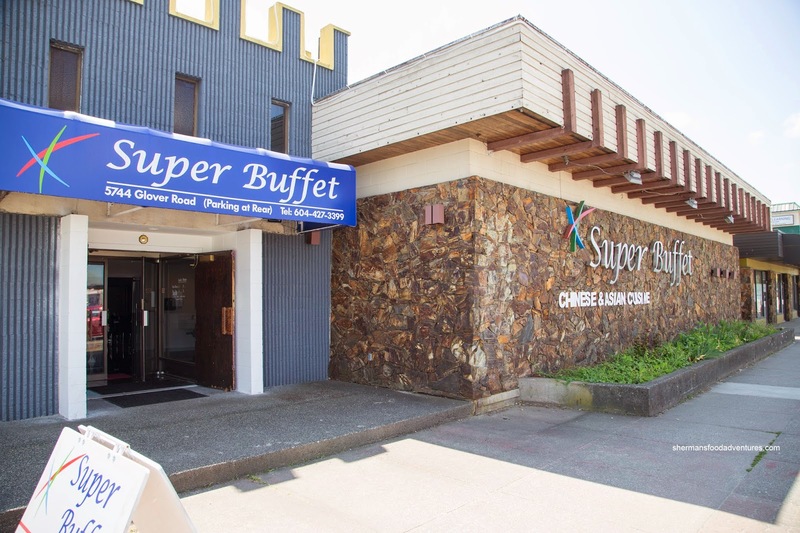 An Asian buffet located in the heart of Langley - sounds like a foodie's paradise doesn't it? Well, if orange is the new black... Wait... So why on Earth do I subject myself to such torture and exposure to food that would make Manchu Wok look gourmet? Call it part curiosity and part wishful thinking. I keep believing that one day, I'll find a decent buffet in the GVRD. Yah I know, that is a likely as finding people who know how to navigate a traffic circle. Yield to those already in the circle people! Anyways, we decided to check out Super Buffet for the heck of it. From the outside, the place doesn't look like much. However, on the inside, they have renovated and the place looks pretty nice including the super clean washrooms. Shocking I know! The floor looked clean enough to eat off of... Well, not really... 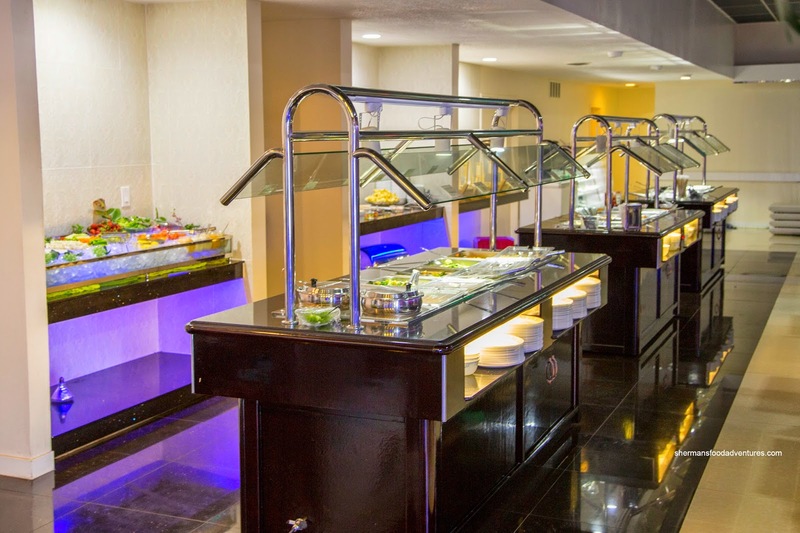 In the middle of the restaurant, there was 3 hot buffet stations consisting of the usual Chinese items, various fried items and a modest amount of seafood. 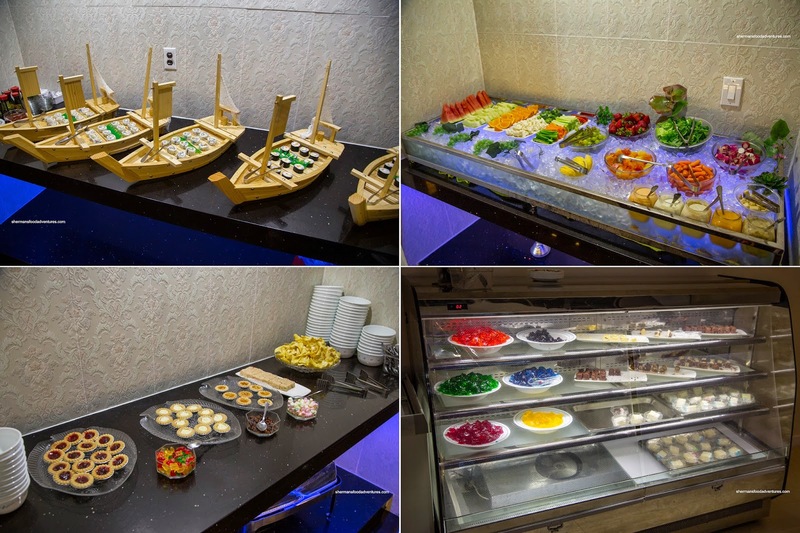 On the side, there was a very humble selection of sushi, fruits, veggies and a surprising amount of desserts including some refrigerated items and hard ice cream. I tried the sushi and wish I hadn't. The rice was dry and bland, but really, it wasn't really sushi. 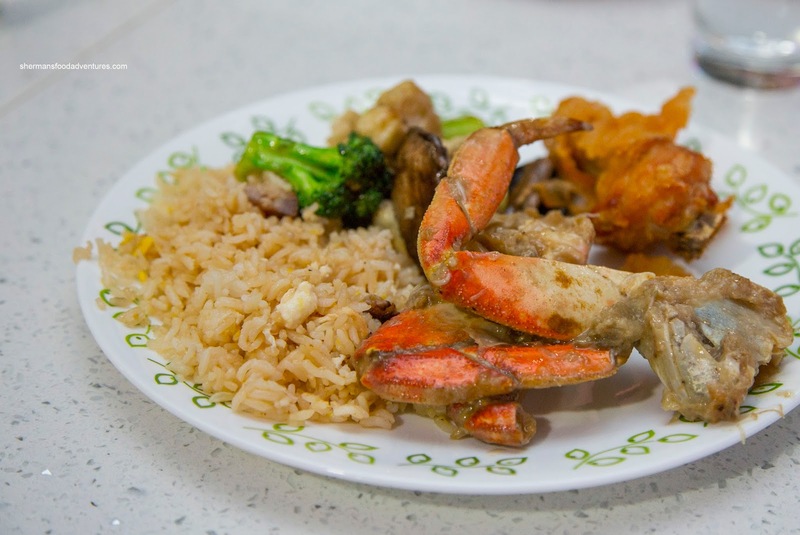 Naturally, I attacked the dungeness crab first and typical of buffets, it was DOA. Despite this, the crab meat was still somewhat fluffy and not overly mushy. On the same plate I had a fried chicken wing which was juicy, yet coated by an obscene amount of batter. The fried rice was so-so being dry and rather bland. I didn't mind the stir-fried veggies as they were still crisp an vibrant. 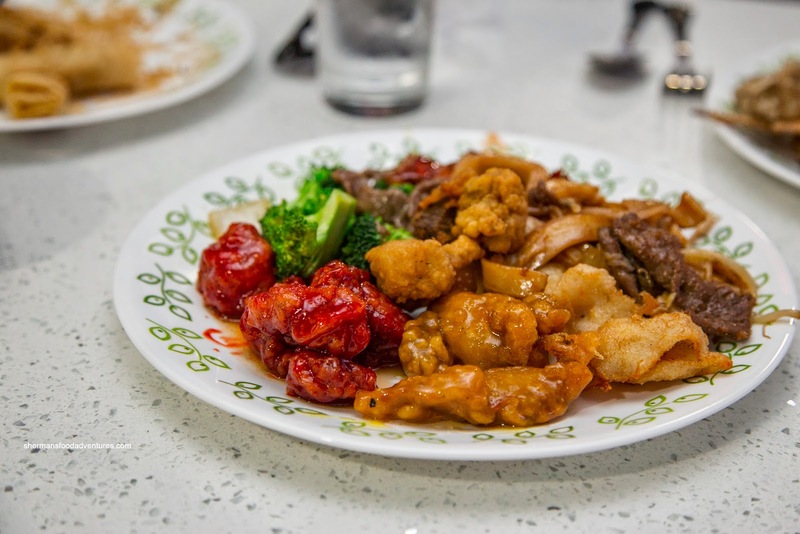 I finally tried the Chinese food and it was pretty average. The sweet & sour pork was a bit hard while covered in a mainly sweet sauce. Same went with the other fried meats as they were rather dry. The fried noodles were alright being not overly greasy. There was also some soups available where I tried the hot & sour and the wonton soup. 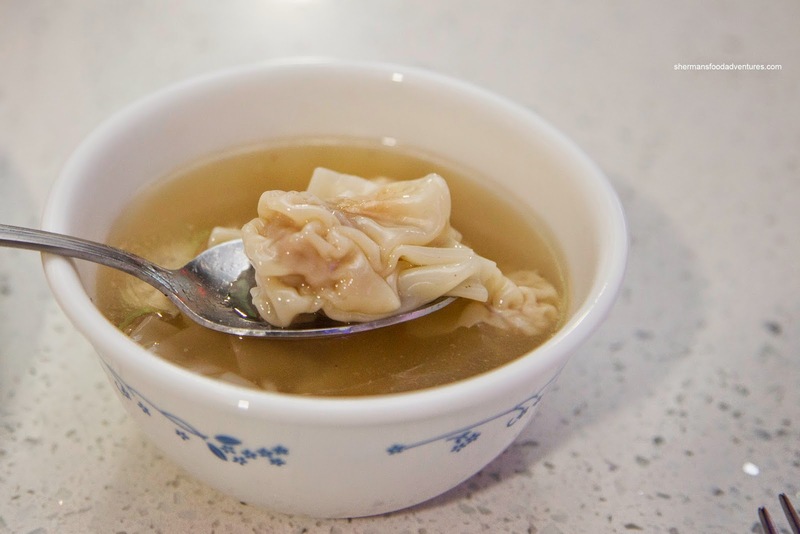 The latter was acceptable with a mild broth and smallish wontons. I found the filling to be a bit loose and flavourless though. As you can clearly ascertain my complete and utter excitement in my post, this buffet experience was pretty much like any other one in the GVRD. Hence, these places are best left to those who are hungry and not picky as to what they are eating. Honestly, I just don't think Vancouver restaurants can offer a decent, well-priced buffet. Especially of the Chinese variety. I'm waiting for a decent Korean buffet like Blue Fin in Northgate Mall (ok) or Kum Kang San BBQ in Federal Way (quite good).